AOCS (American Oil Chemists' Society) your forum for fats, oils, surfactants, and detergents: ALGAE BIOMASS SUMMIT EARLY BIRD RATES EXPIRE AUG. 1! ALGAE BIOMASS SUMMIT EARLY BIRD RATES EXPIRE AUG. 1! 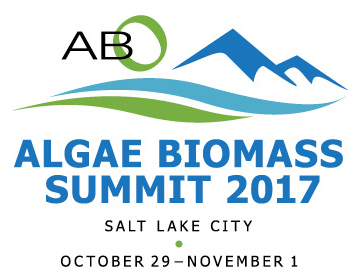 A friendly reminder: August 1 is the early bird deadline for the Algae Biomass Summit! Don’t miss the exciting program coming together for the 11th annual Summit taking place in Salt Lake City, October 29 – November 1. The Summit is the algae industry’s premier event—the world’s largest algae conference—and this is your opportunity to save big. The Summit’s agenda will cover algae developments in everything from feed and food to fuel and pharmaceuticals. Discover the latest breakthroughs, catch up on cutting-edge research and learn about product development milestones from companies ranging from small startups to multi-billion dollar companies. Register today and save up to $200! Click here to register. Get Content. Get Connected. Get a Discount.